just the long wait for confirmation emails now! Got in, got Tickets, and now have confirmation email! ahhh getting so frustrated with busy site... have been through to enter registration number and postcode 5 times but it won't let me any further!!! Alternativley add an "S" into the http to use the secure server, ignore the certificate error. Does anyone have an idea if the tickets will all be gone today? this morning.... hope not anyway! Right, eight months to get ready.... any line-up rumours? hi gordonetc.... ta 4 the links - these should start working better now the 9am rush is over. hi shumart.... nice 2 c u again. ta 4 the tips. Is that a valid website? I don't wanna get scammed! The link i posted above works ok, both me & my m8 just ordered tickets and it worked stright away! Just used your link...got straight through. Many Thanks!! Got my tickets! Oh Yeah!! 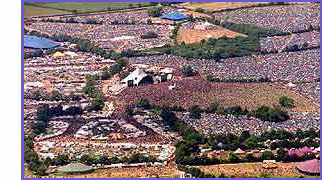 Glasto when I'm writing my list!! we please have Seasick Steve again this year? Comfirmation email turned up 5 mins later too! Looks like the tickets won't sell out like last year, I just wish my silly mates would be more organised & at least remember their own reg number ! Well manage to get my tickets this morning and found this forum while I was sufing and waiting (Hi to everyone). Looks like the tickets are still available as the link is still live. hi and welcome to all newcomers. pull up a chair tho.... there's a long wait till june! just got my ticket GREAT. BUT should i try to get my son who is 18 year old one, he came with me last year and spent most of his time in the tent asleep. I'd say it's a waste of money if he's going to come & just sleep all the time. I agree, so i shall leave him at home and come by myself , over the years going to glastonbury i always end up going around on my own. doing my own thing.